Hi people! The time to speak up has come. #communitylibrary. 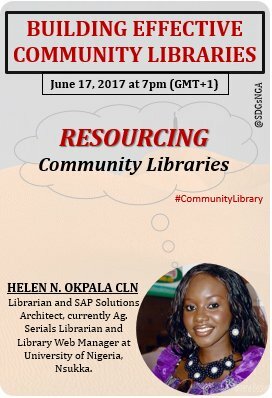 Join me and my colleague to discuss ‘Resourcing Community Libraries’, 7pm today using the hashtag: #communitylibrary on Twitter. My twitter handle is @helenekez .